don't worry...the wrapper is still on the candy. No sugar highs for this kiddo. I remember my mom telling us this story when we were little. I believe it came with a Candy Cane and a note card with the following story printed on it. I love this story because it helps remind me of the true meaning of Christmas. 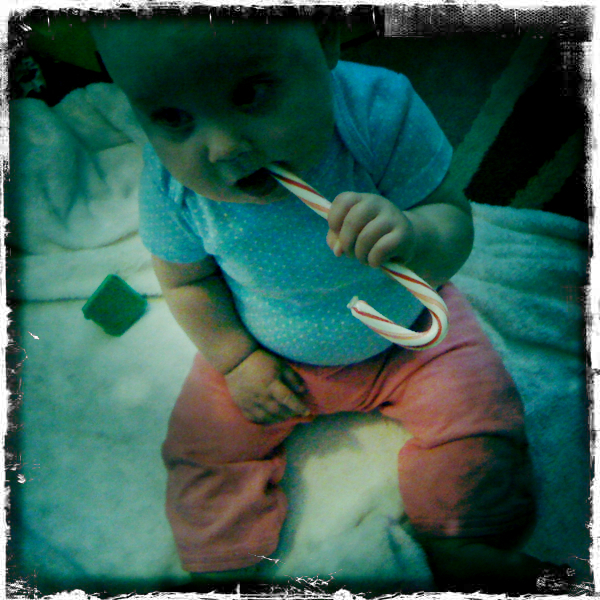 Every time I see a candy cane I remember this story (and I think of my mom).